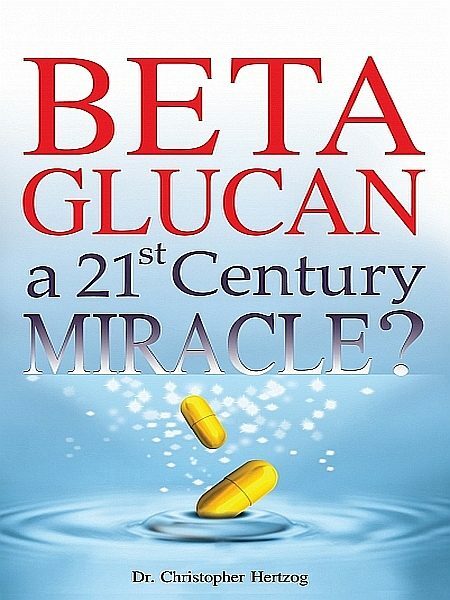 Beta Glucan - a 21st Century Miracle? This book is intended as a layman?s guide to Beta Glucan, which perhaps heralds one of the most important medical breakthroughs in the last 100 years! Beta Glucan is a straightforward but comparatively complex polysaccharide. It has the ability to revolutionise some important aspects of future healthcare worldwide. Beta Glucan defies some of the pharmaceutical giants? patents, because this product is effective and inexpensive to produce and administer. Beta Glucan can revolutionise many aspects of medicine in the future, particularly in respect of cancer and antibiotics, as well as a host of other conditions. Dr. Christopher Hertzog is a well known medical researcher in the field of anti-aging medicine. He is the author of several books and papers relating to the subject, including ?Live Younger, Live Longer !?. Dr. Hertzog has embarked on a crusade to get Beta Glucan better known and accepted throughout the developed world. He has sponsored various health conferences in the U.S.A. He is now embarking on setting up international healthcare clinics with special emphasis on remedial and palliative care in Thailand and Southeast Asia.